Mission Day 2 was an exciting day for the pilot in all of us. We changed plans up from our usual days of collecting rocks out on a “spacewalk” (Extra Vehicular Activity or EVA) to do some more challenging flying tasks. Our new mission today was to pilot the Multi-Mission Space Exploration Vehicle (MMSEV) down to several different asteroids that spin at a variety of rates. These asteroids varied from relatively easy, slowly spinning objects to ones that moved at rates such that the ground seemed to whiz by quickly underneath the spacecraft. Once we rendezvoused with our target on the ground, we had to manually pilot the MMSEV to station keep, or in other words hold the spacecraft in one small spot such that an EVA crewmember on the end of the arm could collect samples. Our station keeping goal was to keep the spacecraft to within a half meter of a given location. While that may sound easy, when the ground is moving quickly under you in unexpected directions, and you have limited visual cues out the windows, it becomes challenging to hold position in one spot. This is made even more complicated by trying to maneuver the spacecraft manually in all six axis (forward/back, left/right, up/down, roll, pitch, and yaw). Once we completed our planned flying evaluations, we even had the opportunity to try out some potential techniques for holding the MMSEV steady at a worksite. This technique had us use a telescoping pole (‘stinger’) sticking out the front of the vehicle to help ‘stick’ us to the ground. Basically, we flew the MMSEV directly at the asteroid and pushed the ‘stinger’ into the ground, using light thrust to keep it buried. In theory, this would help us stay in one location, though the asteroid rotation rates made it challenging to stay balanced on our spacecraft sized pogo stick. But, it all made for a fun and exciting of day of piloting on an asteroid. Although we are living and working within the Multi-Mission Space Exploration Vehicle (MMSEV) located within the Building 9 hi-bay of the Johnson Space Center (JSC), you would never know it from our perspective inside the vehicle. Our view out the windows of the MMSEV is a fantastic representation of the asteroid 25143 Itokawa. Surrounded by a high-resolution video wall that displays the asteroid in front of us, we are totally immersed in this simulated environment. Here inside the MMSEV, we use the displays, controls, and views out the windows to operate the vehicle within this amazing environment. One of the other great aspect are the sounds; not only are we surrounded by the whirl of electronics and communication systems, we can hear the simulated thrusters firing outside as we maneuver the MMSEV. What’s really remarkable is that the shape, motion, and imagery of the asteroid Itokawa that we see out our windows are all derived from actual mission data from the Hayabusa mission. This spacecraft, developed by the Japan Aerospace Exploration Agency (JAXA), launched in 2003 and arrived at Itokawa in 2005. After a few months in orbit surveying and studying the asteroid from a distance, it landed and collected samples which were returned to Earth in 2010 (for more information on the Hayabusa mission see the JAXA website). Some of those samples returned from the surface of Itokawa are now located at JSC, just a short distance from where I currently sit in the MMSEV. For its support of the Hayabusa mission, NASA will eventually receive approximately 10% of the returned samples; the first 15 particles were delivered in late 2011. This material is curated at JSC and made available to the scientific community for research (get more information on these samples and their curation at JSC). Itokawa is a stony (or S-type) asteroid that is shaped sort of like a potato. Its length is approximately five football fields long; the actual dimensions are 535 x 294 x 209 meters. It has been described as a rubble-pile, and looking at it from our view in the MMSEV I can see why. It has a very rough rocky appearance with many large boulders perched on the surface; there are also a few areas where it appears smooth. From the data collected during the Hayabusa mission, we know that Itokawa has a low bulk density and high porosity – indicating that it is likely made up of material previously broken up by other asteroid impacts that loosely reformed to make Itokawa as we see it today. Exploring and learning about an asteroid utilizing data from a robotic precursor spacecraft, as we are during this year’s RATS test, is exactly the strategy that we would likely use to eventually send humans to an asteroid in the future. This analog test and others like it are a great step in achieving that goal. 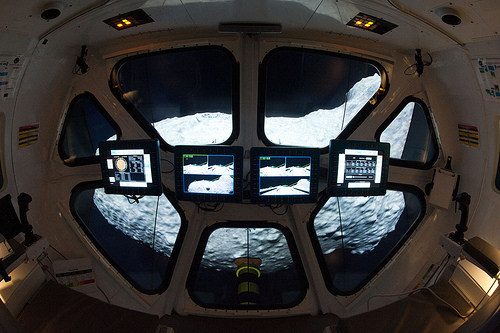 As great as this view is today within this simulation, the view and knowledge we would get from sending humans on an actual mission to an asteroid in the future will be spectacular. Trevor and I started the day by getting sealed up in the Multi-MissionSpace Exploration Vehicle (MMSEV) to kick off the RATS 2012 simulated asteroid mission. Thevehicle looks rather small from the outside, but on the inside it seemsto be just roomy enough. Packing can be a little tricky, since there’sjust enough space crammed into every conceivable location, but we got itall in with the help of our Human Factors guru. Once settled in thecabin, we got down to the day’s mission. Our goal was to virtually “fly” down to theasteroid and have one of us go out on a spacewalk (an Extra Vehicular Activity or EVA) to collect some rock samples. I started off flying theMMSEV, and Trevor headed out the door. To go on an EVA, Trevor used thesuitports in the back of the MMSEV, where his spacesuit was attached onthe outside. He opened the inner hatch, climbed into the suit, closedthe hatch, and then was off on his EVA. To simulate being on EVA,Trevor headed up to the Virtual Reality Lab, where he donned goggles thatmade it appear to him as if he were near the asteroid. Having Trevorsettled on the front of the MMSEV, I then flew it down to each of thesample sites. With the virtual simulation projected out my frontwindows, it seemed as if I was really on the asteroid. Liz, Allison, andMarc helped a lot by choreographing our mission from the Deep Space Habitat. Flying the MMSEV was great. It reacted really well to all controlinputs, and it wasn’t too difficult to precision fly near the asteroid surfacewith Trevor’s helmet just inches from the rocks. We worked like that fora couple of hours, and then switched places. Climbing into the Mark IIIspacesuit to egress for my EVA was definitely fun, even though I was onlyin the suit for a few minutes. Having trained in the space shuttle andspace station airlock mockups, I found using the suitport to be veryquick and easy. Once we were done with our flying tasks, we settled infor our evening tasks. That involved making a freeze dried dinner,setting up our cycle and exercising, and filling out a bunch of datasheets. Exercising in the confined quarters was challenging, and wemostly stuck with using the cycle. We finished the night by configuringour bunks for sleeping, and shutting things down for the night. This is my third year as part of NASA’s Research and Technology Studies (RATS) team. 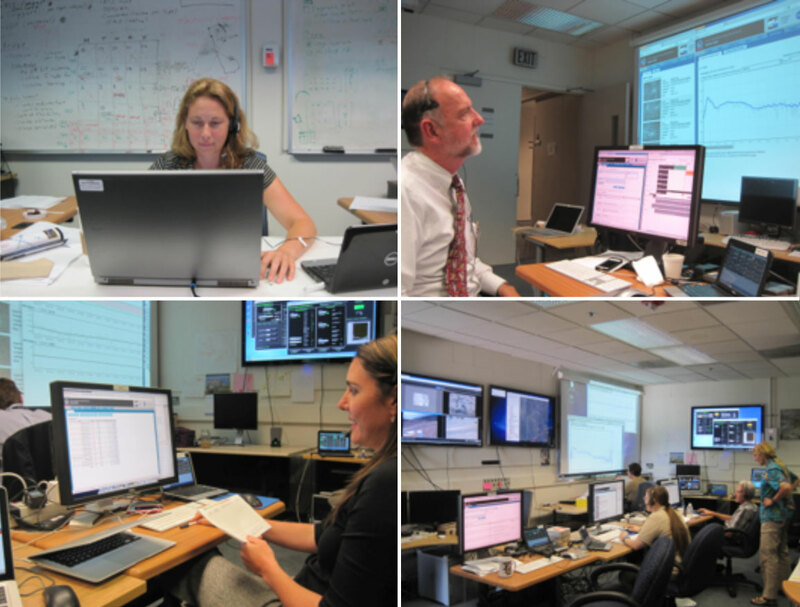 In 2010, I was a member of the science team and supported the GeoLab operations in the Deep Space Habitat (DSH). I was part of the field science team in Arizona again in 2011, in addition to having the unique opportunity to train and prepare as a backup crew member. This year I’m one of the prime crew members for RATS 2012. As a geologist, I greatly enjoy being in the field – exploring, mapping, sampling and analyzing the rocks, soil, and terrain. Geologist crew members for RATS get to apply the years of knowledge and experience we’ve gained from our field and lab work to exploration missions beyond our Earth. Our “field” environment for this year’s test is extremely unique. Unlike many of the previous RATS tests conducted in the field in Arizona, this year we are exploring an actual asteroid. Well… sort of. Let me explain. This year’s test, conducted here at the Johnson Space Center (JSC), has us exploring the asteroid 25143 Itokawa. This is accomplished in a few very cool ways. First, our vehicle (the Generation 2A Multi-Mission Space Exploration Vehicle or MMSEV) is in front of a large simulation screen that displays the asteroid in front of us. 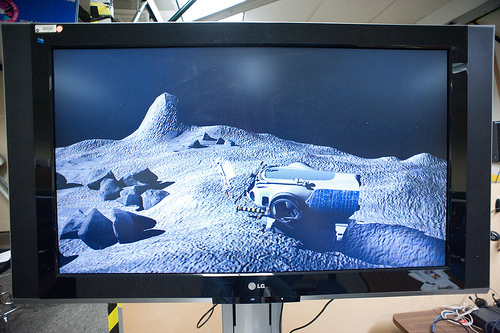 Using data and imagery from the Japan Aerospace Exploration Agency (JAXA) Hayabusa mission – that visited, landed, and returned samples from Itokawa – the simulated asteroid looks and moves just like the real thing. RATS crew members Marc and Trevor running an asteroid mission simulation from within the Multi-Mission Space Exploration Vehicle (MMSEV). This extremely realistic simulation allows us to fly around, approach, and anchor to the asteroid, all while monitoring our flight controls, propellant usage and many other factors. Once we approach or anchor to the asteroid, one or more of us will perform a simulated spacewalk, also known as an EVA (Extra-Vehicular Activity). This involves two additional very cool aspects of this year’s testing. For EVAs, we either go to the Virtual Reality Laboratory (VR Lab) or to the Active Response Gravity Offload System (ARGOS). In the VR Lab, we put on a special set of glasses that allows us to view and explore the asteroid as if we were in a space suit external to the MMSEV. 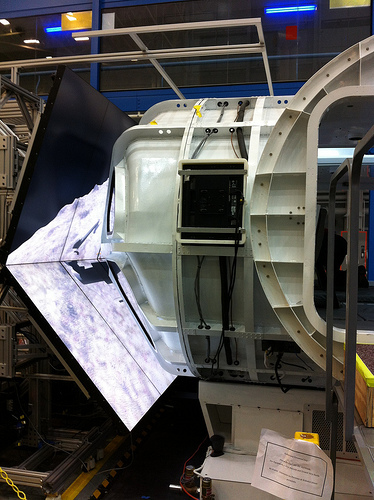 From here we can fly to and sample the asteroid – getting our “hands dirty” in the virtual reality world. The other EVA option is to get strapped into ARGOS. The ARGOS facility provides the ability to offload our weight to simulate weightlessness, all while conducting our exploration and sampling of the simulated asteroid surface. RATS crew member performs a simulated spacewalk using the ARGOS system. Analog missions like this one are vital in providing the data that will influence the development of mission architectures and technology critical to future human spaceflight. As a scientist, it’s great to be a part of helping evaluate and develop the equipment, techniques, and strategies that will eventually take us to places like asteroids and on to Mars! What Would We Mine in Space? NASA is actively planning to expand the horizons of human space exploration, and with the Space Launch System and the Orion Multi-Purpose Crew Vehicle, humans will soon have the ability travel beyond low Earth orbit. But before we send humans to explore deep-space destinations — like near-Earth asteroids, the moon, and Mars and its moons — we need to demonstrate and refine capabilities here on Earth. Image at right: The RESOLVE experiment package atop CSA’s Artemis Jr. Rover. Each potential destination contains a vast spectrum of resources that space architects, engineers, and mission planners can work into spacecraft designs and operations to make a mission more safe, cost-effective, and efficient. Harnessing local resources is a practice called In-Situ Resource Utilization (ISRU), and it offers very attractive benefits for human space exploration, including mass reduction for the payload – and therefore cost reduction, since the number of launches will be fewer and size of launch vehicles could be smaller. ISRU also reduces risk for crew members, increases mission flexibility, and encourages commercialization of space by blazing a trail and demonstrating a market that is waiting to be cornered. But What Would We Mine at Each Destination? Earth’s moon offers four major resources. The regolith, or layer of loose soil overlying rock beds, has a rich mixture of oxides and metals. The lack of atmosphere on the moon exposes the regolith to solar wind volatiles, including hydrogen, helium, and carbon. And recent robotic missions have proven that the shadowed polar craters have water-ice. NASA and its partners have already demonstrated the technology and proven the capabilities necessary to harness all of these resources for sustainable human exploration of the lunar surface. Near-Earth asteroids present a unique challenge for space explorers. There are several types and classes of asteroids and the compositions vary greatly; some are very iron-rich, with magnesium, nickel, water, rare platinum groups, and varieties of silicates, while others will be rich with oxygen, water, and other volatiles. The rotation and spin rates can be erratic and unpredictable, making anchoring and mining precarious for humans. 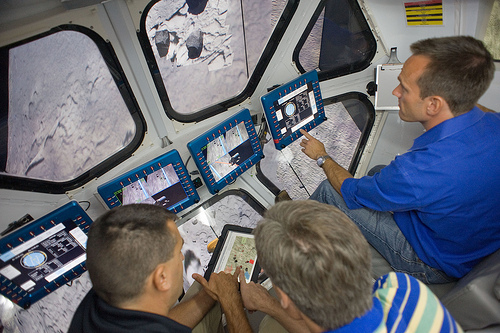 During the past two NEEMO analog missions, astronauts practiced different navigation and translation techniques for asteroid exploration, including human-robotic sampling and translation techniques in which the astronauts could deploy robotic systems to mine the asteroid resources. The red planet’s atmosphere contains 95.5% carbon dioxide, 2.7% nitrogen, and 1.6% argon. We know from the Spirit and Opportunity rovers that water concentration varies by location, but we have proof of significant ice beneath the regolith at the poles. Mars also has oxides and metals in the soil, making it yet another resource-rich destination that we hope one day will be home to humans. Could Planetary Resources Really Sustain Humans Away from Earth? Robotic precursor missions can help prepare an extraterrestrial destination for a long-duration human visit. A system the size of RESOLVE, mounted on a rover like the Canadian Space Agency’s (CSA) Artemis Jr., would be used to locate resources that could be used by the crew for life support, protection, power, and propulsion. 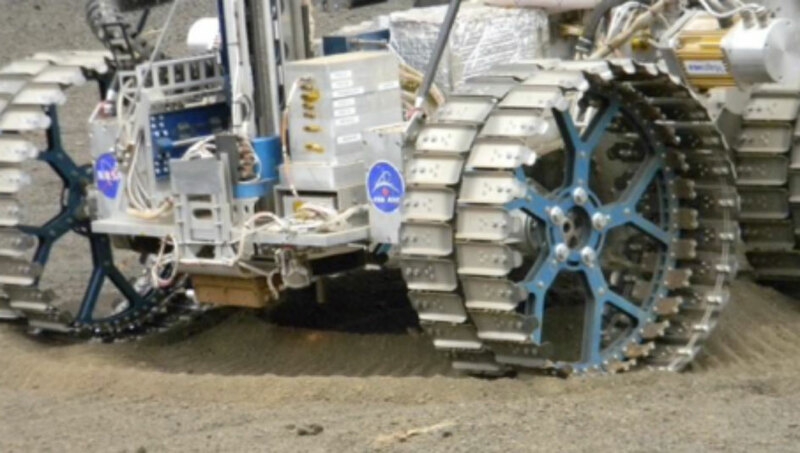 With the information, another small rover and processing plant can be delivered to mine an area less than 1 inch deep the size of a soccer field for one year prior to humans arriving in order to have enough initial resources to sustain a crew of astronauts when they arrive. If we had a shorter precursor timeframe, the robotic hardware would have to be much bigger in order to produce and store an initial repository of consumables for when the astronauts arrive. Another advantage of early robotic deployment, also known as a robotic precursor mission, is that it enables us to do more science experiments to learn about the area before the astronauts get there. 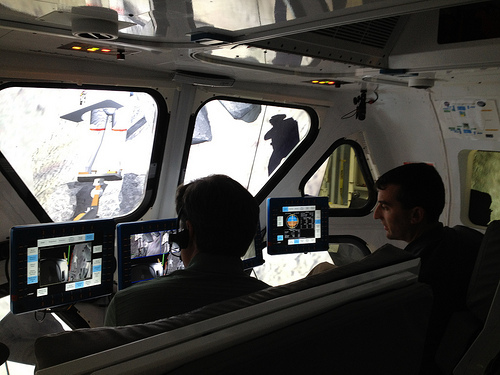 To learn more about In-Situ Resource Utilization, visit www.nasa.gov/exploration/analogs/isru. Perform at least 1 water droplet demo during volatile analysis. Map the horizontal distribution of volatiles over a point to point distance of 500m. 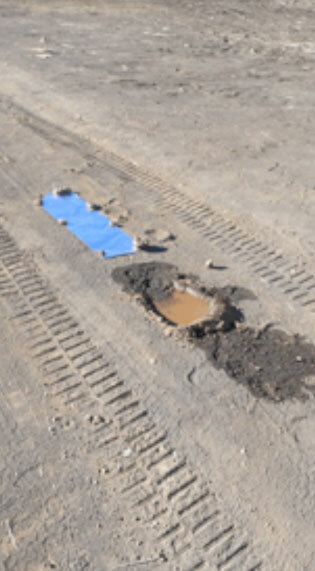 Perform coring operations and process regolith at a minimum of 3 locations. Volatile analysis will be performed on at least 4 segments from each core to achieve a vertical resolution of 25cm or better. Perform at least 2 total water droplet demos. Perform 1 in conjunction with hydrogen reduction and perform 1 during low temperature volatile analysis. At first glance, they are pretty much very operations based: 100 m (328 ft) here, 1 km (3,281 ft) there, three locations, three auger (drilling) ops, etc. They were the driving forces of this demo, no pun intended. Our main focus was to demonstrate the technology and the operations. However, as each day went on, you could hear on the voice loop the engineers asking more and more about what we scientists – those on site or in our “Ames science backroom” – were discussing and observing with each new scan, spectra, and image. Also, we actually found ourselves demonstrating science in this activity. That was the whole beauty of this project: science enabling exploration and exploration enabling science. Each team member, excited about roles played by others, united by our shared excitement in the concept of pushing our ability to explore beyond our home planet. At the end of our field demo, we clocked 1,140 m (3,740 ft.) total in-simulation roving distance, 475 m (1,558 ft.) separation travel distance between hot spots, with total separation of traverses greater than 500 m. (1,640 ft.) We located nine hot spots, completed four auger operations, four drill operations, and four core segment transfers to the crucible (oven) for volatile analysis and characterization. 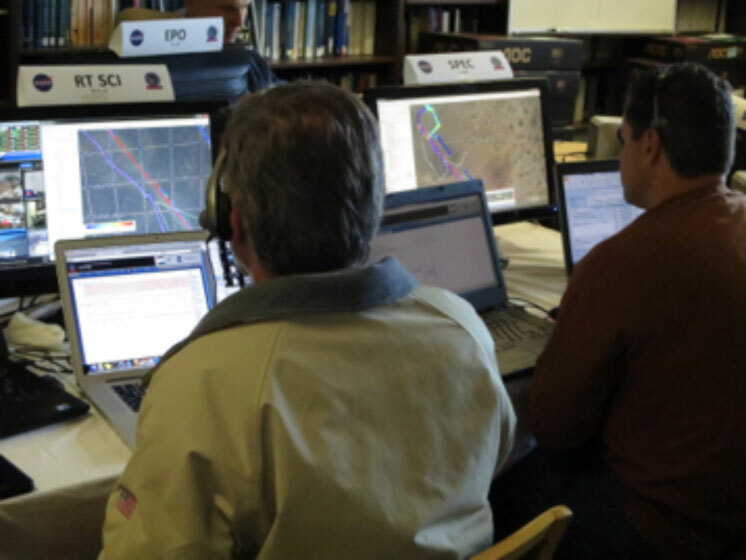 We had seven remote operations centers plugged in to our central system. We logged 185,918 rover positions, collected 227,880 near-infrared spectra, 136,273 neutron spectrometer measurements, 139,703 drill measurements, 3,630 image data products, and wrote 2,446 console log entries. While some of the ISRU technology demonstrations focused on pre-arranged drill tubes filled with pre-planned test materials, we were particularly excited to drill into the native tephra. Its saturated soil (up to 20%) is more consistent with the Mars surface rather than the lunar surface. If successful, this test also would show practical drill performance parameters for future Mars drill missions. The approved procedures allowed us to core down to a maximum of 50 cm (19.6 inches). We reached 45 cm in about 56 minutes. Then, instead of putting the sample into the oven, the core tube was “tapped” out onto the surface while the rover moved forward to lay out the sample for evaluation by the near infrared and neutron spectrometers. This was a new procedure developed jointly by the rover, drill, and science teams, which demonstrated a new way of extracting material and quickly evaluating it. The Ames science backroom team, clockwise from top left: Erin Fritzler, project manager; Bob McMurray, system engineer; Kayla La France, intern; Ted Roush, scientist; Carol Stoker standing, scientist; and Jen Heldmann, scientist. Not shown: Stephanie Morse, system engineer; Josh Benton, electrical engineer; and me – Kim Ennico, scientist. With our team of nine people we staffed three consoles in two shifts, for eight-days. Ames science team members in Hawaii. They were our main interface for the Ames backroom to the Flight, Rover and Drill teams, whose leads were in Hawaii, but whose support teams were at KSC in Florida, JSC in Texas, and CSA in Canada. Left to right: Rick Elphic, Real Time Science and Tony Colaprete, Spec. Photo by Matt Deans. To end on a fun note: mid-way through the sim, I got my updated console request so I could monitor the neutron spectrometer and near infrared spectrometer simultaneously to look for correlations (this combination of techniques had never been done before). I spotted this one (image below) as we were roving about. Camera imagery had been down, so we were “in the dark” from visual clues. Upon seeing the two signals, I called out a strong hydrogen and water signal to the Science team in Hawaii over the voice loop. Screengrab of one of my console screens. 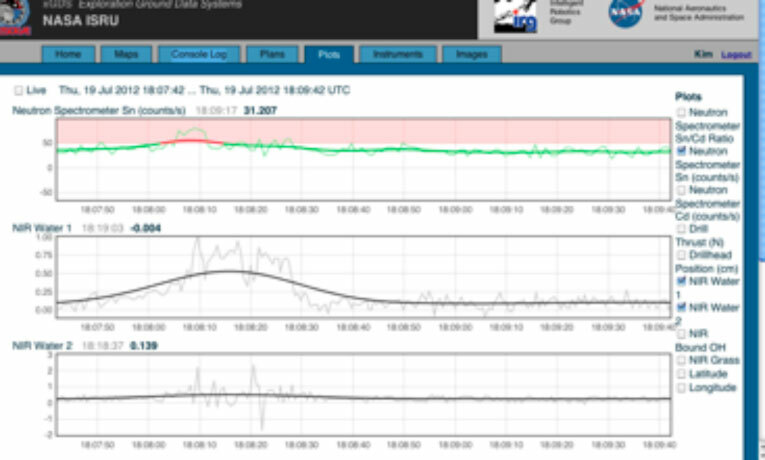 Top trace is the neutron spectrometer Sn counts showing a modest signal. Bottom traces are two different near-infrared water spectral regions that showed changes at the same time. And it turns out we roved over this, a trench of water and a piece of aluminum foil reflecting the clear blue Hawaiian skies. The neutron spectrometer is designed to detect hydrogen at depth, whereas our near infrared spectrometer is more suited for surface water. This target, like others we traversed over the past week (buried pieces of plastic, netting, etc.) had been dug out in the wee hours of the morning by other members of the RESOLVE operations team. Good way to get a few hours exercise after being cooped up behind monitors! So what’s next? A “lessons learned” exercise is called out for next week. The different teams wrote down our learning points daily when they were fresh in our minds. We will review them as a team and move forward with the next steps – building a version that works in a vacuum. And our Ames backroom science team has identified a few science papers to write. We are excited! 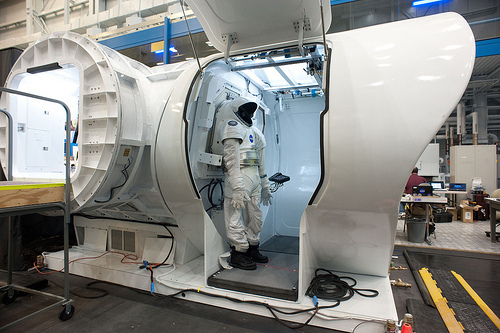 NASA is currently building the capabilities for long-term, deep-space human exploration. We know from experience on the International Space Station (ISS) that harnessing and recycling space resources increases mission flexibility, reduces payload mass requirements, and reduces risk to a crew who might otherwise be dependent on a cargo delivery. The ISS Water Recycling System, for instance, leverages local resources by recycling as much water as possible. It recycles urine from waste systems and even moisture from the air. This system is vital to continual operations because the cost of transporting all of the water needed for consumption and waste management is prohibitively expensive. Image at right: Sitting atop the Canadian Space Agency’s Artemis Jr. rover, RESOLVE is an experiment package designed to find, characterize and map the presence of ice and other volatiles in almost permanently shadowed areas at the lunar poles. 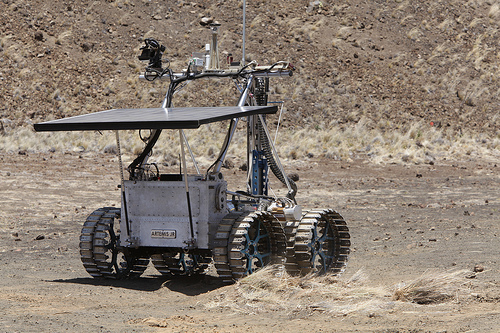 Here in Hawaii, during NASA’s In-Situ Resource Utilization demonstrations, we are simulating a lunar robotic mission with the RESOLVE (Regolith and Environment Science and Oxygen and Lunar Volatiles Extraction) experiment package. It is designed to find, characterize and map the presence of ice and other volatiles on the moon. The last few days, the RESOLVE package, mounted on a Canadian Space Agency rover, has traversed the volcanic deposits of Hawaii’s Big Island and is using several science instruments to locate volatiles in the regolith, drill for samples, then characterize and separate the samples for processing. Bill Larson, ISRU Technology Development Project Manager, explains how ISRU is a vital component of long-duration missions, offering the analogy of “camping vs. settling” at a destination. For instance, when you’re camping, you bring canned and perishable food, bottled water, other temporary consumables, and batteries for your flashlight. When you are settling at a new location, you are likely to bring some perishables to sustain you in the beginning, but you’ll also bring buckets to gather fresh water, seeds for a garden, spices to flavor the food you’ll grow, and, instead of batteries, a reusable method of power generation. In this analogy, you don’t need ISRU for a camping trip, but if you are going to settle a any destination in space and be productive, you need to be able to harness local resources to generate gases and metals for human consumption, building materials, and propellants. For more information about In-Situ Resource Utilization, visit www.nasa.gov/exploration/analogs/isru. Decompression is a strange experience. It happens at the end of every mission at Aquarius, and it’s happening to us as I write this. One of the many ways in which life in Aquarius is like life in space is that you can’t just go home when you want to. In space, the reason is obvious… you’re in space. In Aquarius, the reason is less obvious, but just as important. If you simply swim up to the surface after a stay in Aquarius, you’ll get what divers call “the bends”. 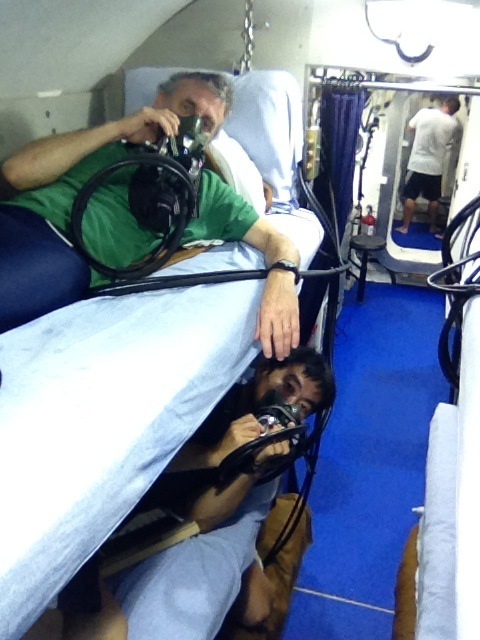 Image at right: Aquanauts Steve Squyres (top bunk, Cornell University) and Kimiya Yui (bottom bunk, JAXA) during NEEMO 16 decompression. Down here in the habitat, the atmospheric pressure is two and a half times higher than at the surface. We keep it that high to keep the water out — the pressure of the air prevents water from coming inside. The inconvenient thing about living at that pressure, though, is that it forces a lot of nitrogen into your body. Air is mostly nitrogen, and at that pressure the amount of nitrogen that works its way into your body tissues is substantial. Come to the surface very slowly, and you’re fine… the nitrogen can leak out slowly and safely. Come up fast, though, and it’s like opening a bottle of soda… bubbles of nitrogen form in your blood. And that can be very bad news. To ascend safely from Aquarius takes about 18 hours, which is an impractically long time to be moving up through the water column in dive gear. So what we do instead is seal the habitat up tight, and then slowly pump air out, reducing the pressure bit by bit. Over 18 hours the pressure goes slowly down to normal surface pressure. As I write this, it’s about 10:30 PM on mission day 11. The gauge in the habitat says that we’re at a pressure equivalent to 18 feet of seawater. By 7:45 tomorrow morning, that’ll be down to zero feet, and we’ll be ready to go to the surface safely. Except for one thing — we won’t be able to open the door. With low air pressure inside the habitat, the enormous pressure of the seawater outside holds the door firmly shut. The only way we can get out is to bring the pressure back up to what it was before decompression… a process called “blowdown”. Blowdown is quick. The air valves are opened, the air rushes in, and before long things are back to normal. It’s noisy, too. And then it really is time to go. Once blowdown has happened, all that nitrogen that was so carefully purged from our bodies begins to leak back in again. So at that point it’s like a fire drill… out to the wet porch, into our scuba gear, and up to a waiting dive boat in just a few minutes. It’s a strange experience. And then we’ll be able to see the sky again, for the first time in almost two weeks. That will be strange too. Learn more about NEEMO at www.nasa.gov/neemo. Today was the coolest day of the mission for me.Today we moved from engineering to science. Engineering and science are different things. Engineers are inventors. Theirjob is to design and build things that people can use. Engineering requiresenormous creativity, and creativity of a very special kind: creativity that iscoupled with practicality. The stuff engineers build actually has to work. 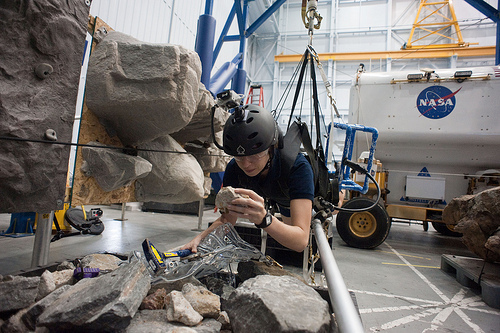 Image at right: Aquanaut Kimya Yui (JAXA) collects chipping samples from a rock simulating an asteroid boulder. Scientists, on the other hand, are seekers of truth. Their job is to figure outhow the world works. Science requires intuition, knowledge that is based on thework of many other scientists, and sometimes a fair amount of luck. What we’ve been doing at NEEMO so far has been engineering in the service ofscience. We’ve been testing out hardware that was designed and built byengineers, using the procedures they recommended to us. Our job has been tofind out what works and what doesn’t, and to relay that information back to theengineers. They build, we test, they make changes, and we test again. Someday,on an asteroid, the stuff that works best is going to be used to do science onthat asteroid. We’ve been doing the engineering work to help make that futurescience possible. But today was different. On our EVAs today we had no engineering tests toperform. Instead, our job was to explore, to report what we found back toMission Control, and then to collect the samples they wanted us to collect. The cool thing about this is that when we went out the door we didn’t know whatwe were going to find. The surface of our “asteroid” isreconfigurable, and the day before some clever people had gone out there, setup some challenges for us, and had not told us what they’d done. It was up tous to figure it out. Just like any other field scientists, we started with reconnaissance, flyingabove the surface with jetpacks and reporting back to Mission Control what wediscovered. On the spot, they came up with a science plan for us, just as wouldhappen with a crew at an asteroid. And then it was up to us to use all thetools we had at our disposal, in whatever way we thought best, to carry outthat science plan. When Kimiya and I did this on our morning EVA, we relied a lot on our jetpacks.Dottie and Tim made more use of the translation lines and the booms to do theirsampling. Both approaches worked, but in different ways. It was reallyinteresting to debrief after dinner, and compare notes on our experiences. 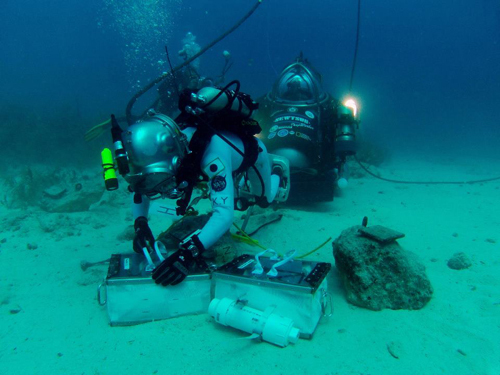 But most of all, these EVAs felt like real scientific field work to me.It was a taste of how it’s really going to be to explore an asteroid and Ithink it was a big step forward for NEEMO and NASA, and something that’ll takeus a significant step closer toward doing it for real someday. To learn more about NEEMO visit www.nasa.gov/neemo. Onething we haven’t thought about too much on this NEEMO mission has been theweather and sea conditions. The reason is that they’ve mostly been so good. 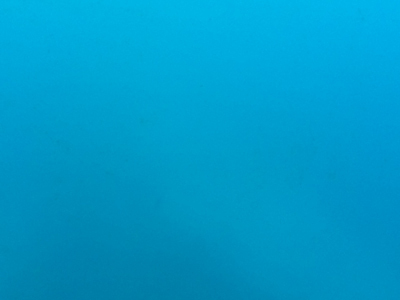 Image at right: Squyres shows the underwater visibility with this image. OnNEEMO 15, it was another story. The start of that mission was delayed by atropical storm, and we came out of the water early because of an approachinghurricane. The beautiful waters of the Florida Keys, which are known to diversfor their clarity, were a hazy green murk for most of the mission. We got thejob done in the time we had, but it wasn’t always pretty. Sometimes we actuallygot lost out there, trying to find our way through the fog. Formost of NEEMO 16, conditions have been beautiful. You can see it in thepictures that have been posted online: clear water and good diving. Well…that has changed a bit in the past 24 hours. I took a picture out the bunk roomwindow right before Tim and I headed out for our afternoon EVA, and you can seewhat it looks like… nothing but blue fog. The visibility is maybe 15 feetnow, and I think that’s being generous. 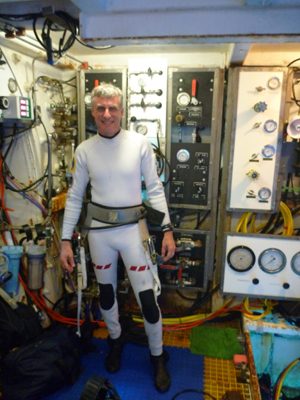 Imageat right: Aquanaut Steve Squyres in the wet porch of the Aquarius habitat. Badvis is only part of the story. The real issue is the strong winds and big wavestopside. We can’t really see that from down here, but we can feel it. Thenumbers we’ve been hearing are 25-knot winds and 6 to 8-foot seas… seriousbusiness in a small boat. Down here we feel the “surge” a bit as thehabitat shifts position slightly, and the popping of our ears as each big wavepasses overhead. Up top, though, our hard-working support divers are pitchingand rolling in big waves for hours at a time, needing all the care they canmuster just to get in and out of their dive boats. Difficult stuff. Thegood news is that the bad conditions aren’t keeping us from getting the jobdone. We’ve been down here more than a week, and I think we could almost findour way around out there with our eyes closed now if we had to. The surge movesus around a bit during our simulated spacewalks, but not enough to make adifference. If conditions had been like this right out of the gate, I think itwould have been a bit of a challenge. But with nine days under our belts, we’reable to keep on keepin’ on. I’m still hoping thingswill get better tomorrow, though!